This morning’s radio interview was a huge success. I had about 259 cabillion hot flashes and my hands were shaking the whole time but I did it. Allison Gingras from A Seeking Heart was a dream to talk with. She made me feel so comfortable. Thanks Allison for helping me through it. Here is the link so you can listen to the podcast yourself. Let me know what you think. Anyway, for those of you have listened, did you hear the wringing phone? LOL! I couldn’t figure out how to disconnect my phone from the computer. Jerry hooked it all together months ago and it is way above my computer literacy level. Y’all…my girl knew that I needed to see her today. This is as close as I can be to her physical self this side of heaven. There is something very surreal about seeing your child’s name carved in stone. I sat in front of her stone and let the tears fall freely. I talked to her and told her about my morning, how her legacy of love was so HUGE it could not be contained in her life here on earth. Gosh I miss her something fierce. I miss her smile, her laughter, her wicked shin kick, her Chewbacca yell, how she would smile every time she heard the bells at Consecration at Mass, her humming through the grocery store, the weight of her body in my arms, holding her beautiful long fingers that would curl around mine, how she would rub her nose on my shoulder when we snuggled, her stunning blue eyes, her little snores as she slept, her beautiful Shirley Temple curls and so, so many other things. There is no way to “get over” this whole losing your child thing. Nothing in my life will ever be the same. I love my daughter. Not loved, but LOVE in the present tense. It is an active thing and always will be. She now stands outside of time and will always be with me…always. She was there today as I stared at her beautiful name chosen with love by her Daddy and I almost 23 years ago. Courtney which means “strength of God” and Elizabeth which means “my God in Abundance”. It’s a shared name with her Great-Grandmother Green and myself. One filled with so much grace and beauty, just like my daughter. One I never get tired saying. One that makes me think of sunshine. She taught me how to love this princess jewel of mine. She and her big brother showed me what it means to put aside your own desires and only want what’s best for them. No matter what…I love them that much. It’s been a good day. A very good day. God has shown me and my family an ABUNDANCE of grace in the carving of a stone. It’s a sacred stone in a sacred place. A place where saints rest until God come back for the rest of us slackers. 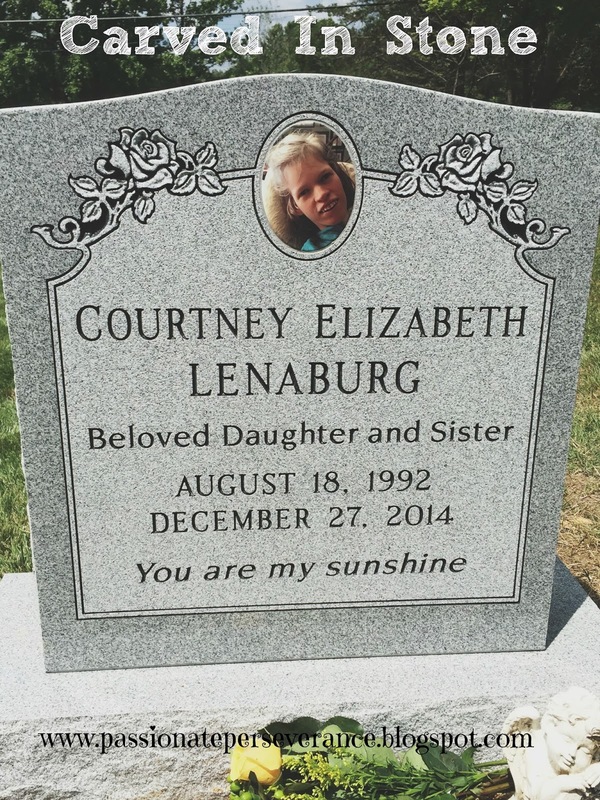 I love you Courtney Elizabeth Lenaburg, now and always my sweet girl. I can’t wait to hold you in my arms again. In God’s time and not before. 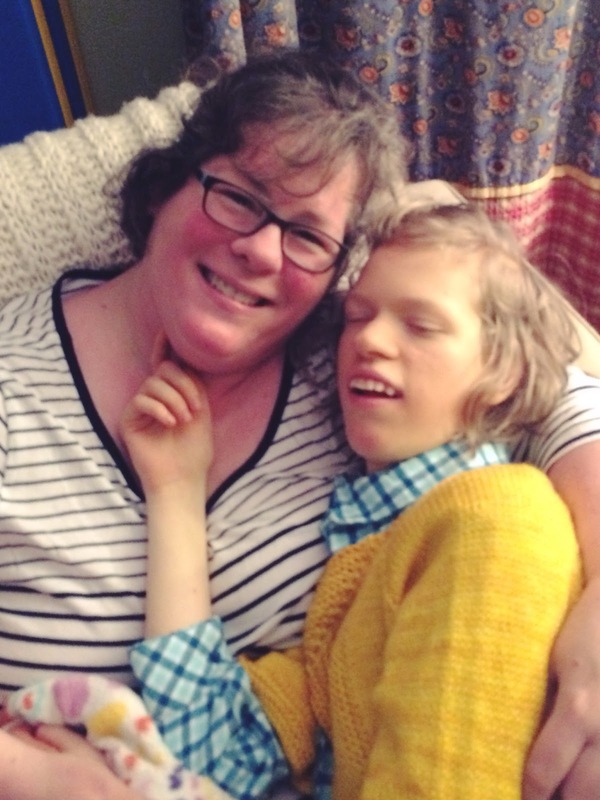 Our new goal is $3,209.00 which will eliminate the balance on a credit card used for Courtney’s PT, OT and Feeding therapies and supplies used over the last five years. We have raised $720 of it so far. Only $2489.00 to go to pay this first one off. If we can raise the full amount, we can pay it off and be that much closer to our larger goal. One thing at a time. Thank you so much for your help. « book giveaway and a live radio show…today!! God continues to amaze me. YOU continue to amaze me. Thank you for sharing so much of yourself and showing us… just so many things. The headstone is beautiful. I really enjoyed listening to the show. 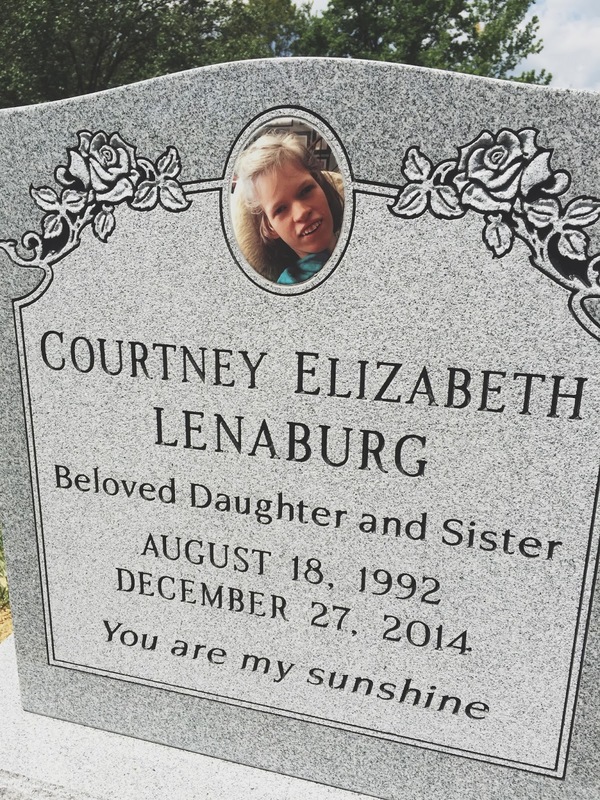 Thank you for sharing Courtney's life and legacy. You make me cry every darn time! You know you're a saint too, right? I learn so much about what it means to love and to be a mother every time you open your mouth or type words. Love to you, dear friend. So much love!! 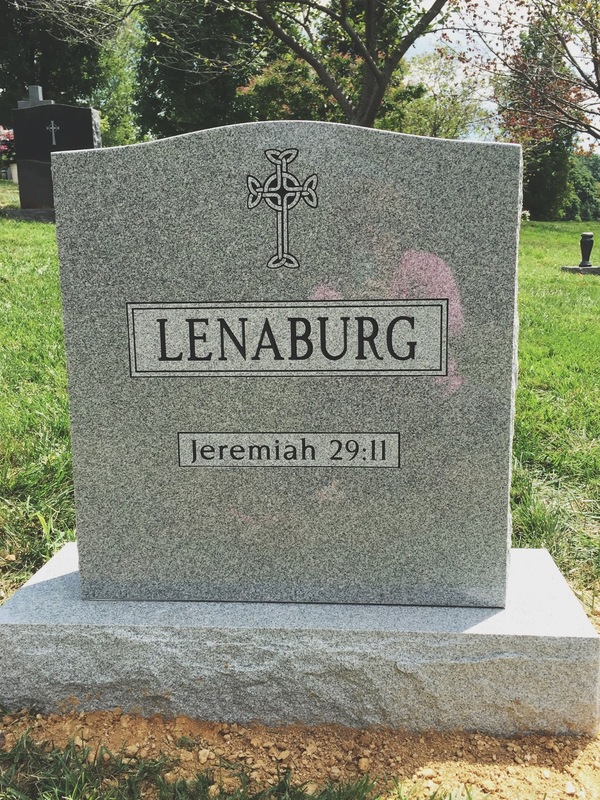 I'm so happy you got the headstone in time for her birthday! It's gorgeous. Thank you for all your beautiful words.